Find out what's been happening in the library. East 15 Acting School, E15 Students Union and University of Essex Library Services are delighted to announce a special event marking Black History month, when we will welcome the distinguished LGBT campaigner and activist Bisi Alimi for an evening that will shake up your thinking about race, sexuality and how we make the world a better place. 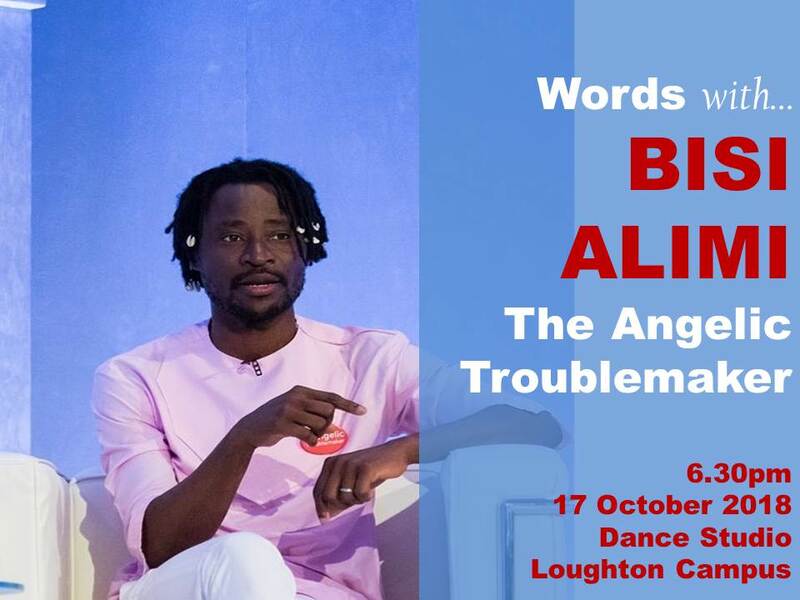 Bisi Alimi is an ‘Angelic Troublemaker Incarnate’: a passionate public speaker, storyteller, television pundit, campaigner, actor and Vlogger. Originally a star actor in a popular Nigerian soap drama, in 2004 he came out as gay on the country's most popular chat show, making him the first ever LGBT person to do so in Nigeria. Following national controversy and multiple death threats he sought asylum in the UK. His expertise on Social Justice ranges from Sexual Orientation and Gender Identity to Race and Race Relations, Feminism, Education and Poverty Alleviation. He has written many controversial opinion pieces including: ’Men can't be Feminist’, ‘I am no longer talking to Black Africans about Race’, ‘Why It’s So Dangerous To Pretend That Racism Doesn’t Exist’ and ‘The Development Cost of Homophobia’. From 1 October until The End!